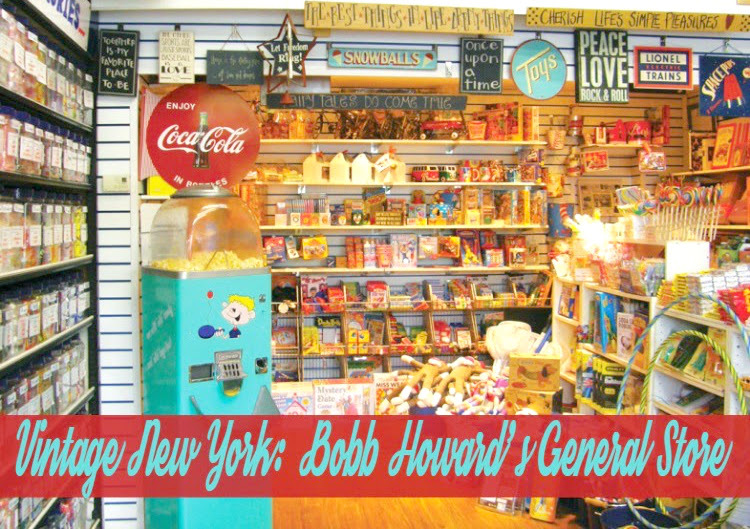 I discovered the sweetest mom and pop shop in New York recently called Bobb Howard's General Store. It is located in New Hyde Park, New York (Long Island) right next to their auto repair shop that has been around since the 1940's. A shop filled with retro candy and vintage inspired toys was just up my alley so we took the kids and off we went on a little adventure. I was amazed at all the neat goodies they have in their shop from toys to lunchboxes and games. 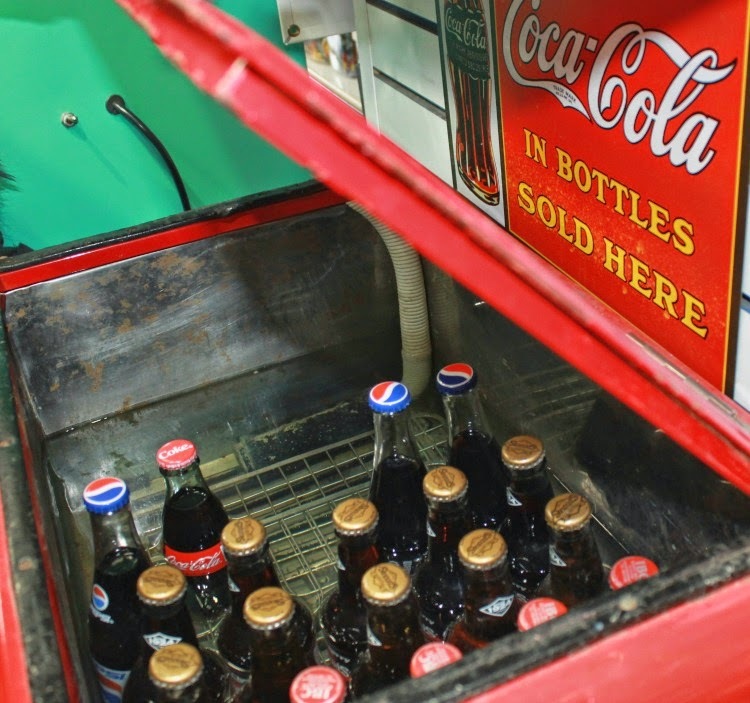 They even had an old-fashioned soda cooler with glass coca-cola bottles in it. There were rows and rows of candies in jars and I literally could have stayed for hours in there just looking at great items they have. Of course when entering a shop filled with toys and candy I couldn't ask for a seven, five, and four year old to contain themselves for more than 15 minutes. We stayed a short while because honestly my children wanted everything in the shop but we did walk away with a candy for each of them and a toy. They were thrilled! I loved the cozy feeling I got when I entered and I noticed a great deal of local loyal costumers that came in while we were there. At the end of our first visit we were offered free popcorn from their popcorn machine which my first son indulged in (the other two don't like popcorn). We found that to be a really sweet gesture and appreciated the kindness. 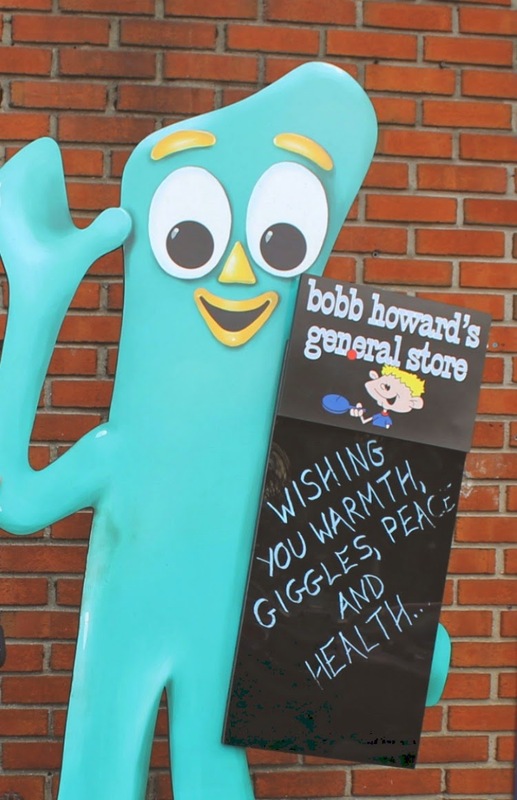 I have to say if you are looking for a shop that gives you that nostalgic feel or if you have a hankering for some old time candies that you cannot find anywhere, stop by Bobb Howard's General Store. I know that we look forward to returning back and doing a bit more shopping for some old fashioned goodies! I love places like that here in Brazil are called grocery stores or conveniences. Loved the Popeye with spinach and those chocolates and candy colored. I wish a good Wednesday. I am following your blog and enjoying every post! There are a few places like that where I live and they are absolutely magical! My uni has a lolly wall in one of stores like this and it is SO tempting when you're cramming for a project or test. I'm 30 years old, but would turn into a wide-eyed 5 year in three seconds flat if I had the pleasure of visiting this truly charming shop. I love that in the midst of a retail world of big box stores and online shopping, a sweet, special little store like this selling nostalgia aplenty is still able to stay in business. Good on them! This place looks so damn adorable! I remember going to a place similar back when I visited relatives in Pennsylvania. Now I wonder if there is something similar in San Diego!